Oh, Edinburgh. The best way I can describe this stop on our UK tour is both captivating and challenging. Despite the unpredictable weather that hits this beloved city, it is nonetheless spectacular at every corner. Throughout our travels within the United Kingdom, we met several people who claimed that Edinburgh is the nation's most beautiful city. Between the medieval architecture and stunning landscapes, I can see why. 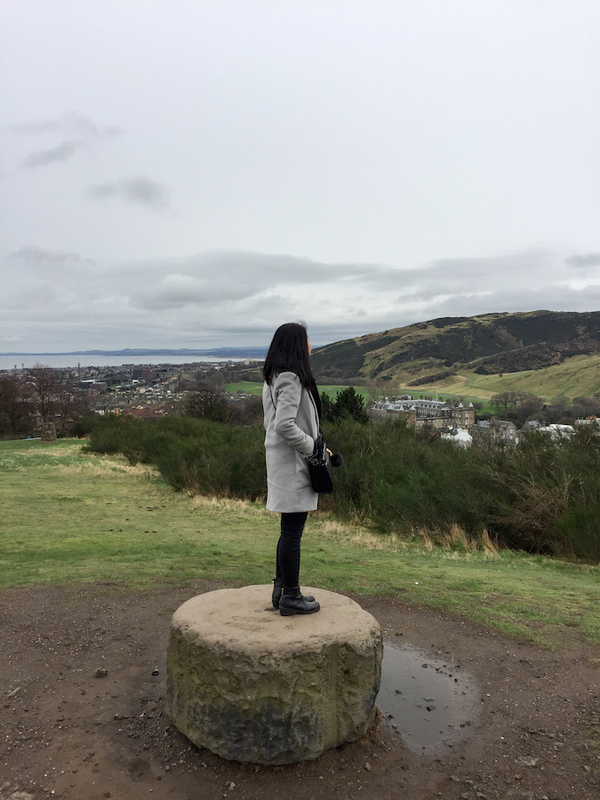 Today I am sharing seven things to do in Edinburgh (although there are many more) for those of you who may stop by one day -- and I strongly urge that you do. Enjoy! 1. Spend a day at Edinburgh Castle. As the most iconic landmark of over 1000 years in Edinburgh, the castle deserves at least a half-day visit during your time in the city. Our time here resulted in heavy winds and some snow, but the fortress' complex history and architecture kept us trekking through. If you've already seen any castle in Europe, this one will beat it by far. 2. 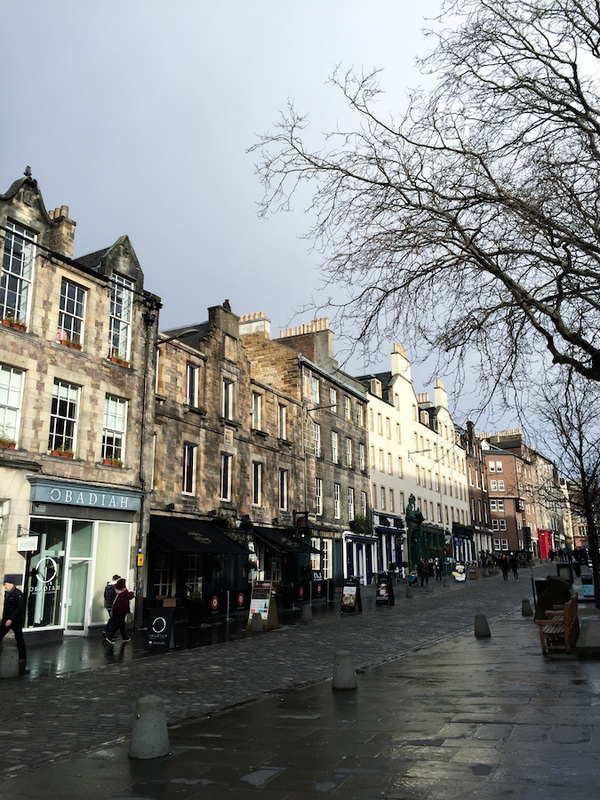 Take a stroll down the Royal Mile. 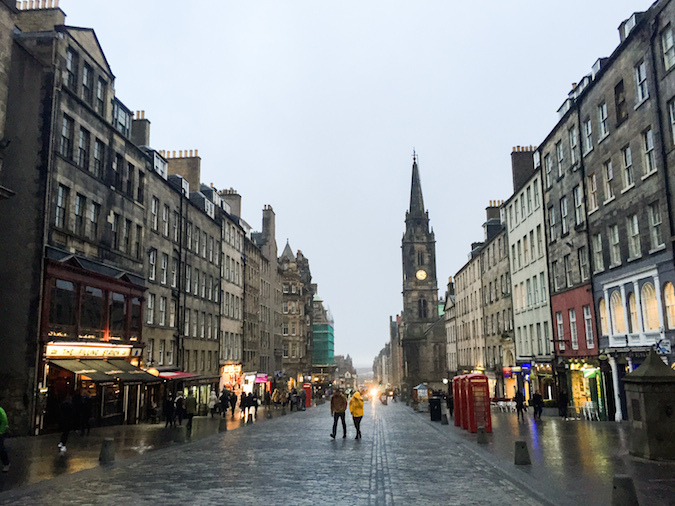 The Royal Mile is often referred to as the most beautiful street in the United Kingdom. 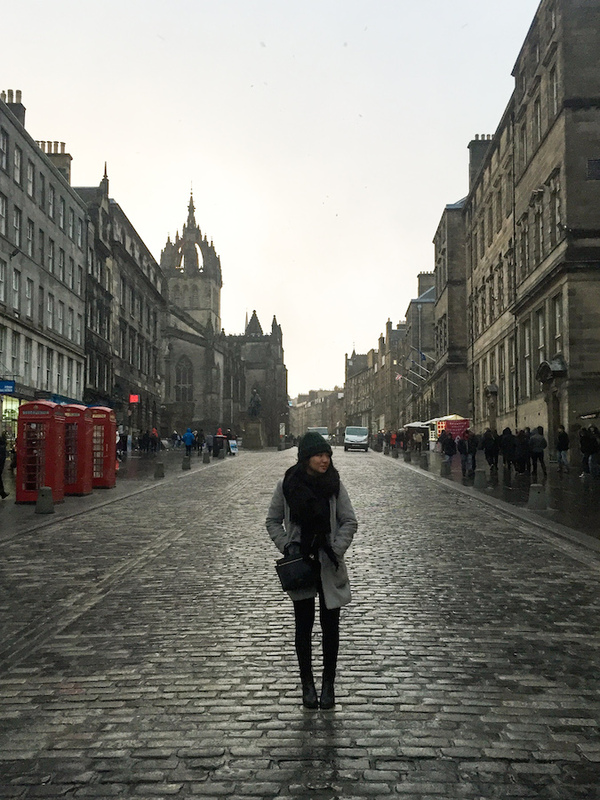 Running from the castle through the heart of Edinburgh, this cobblestoned street is home to various sites including St. Giles' Cathedral and countless dining/drinking spots. We happened to stroll through on a grey evening, giving the buildings a more mystical vibe. 3. Dine in the Grassmarket area. 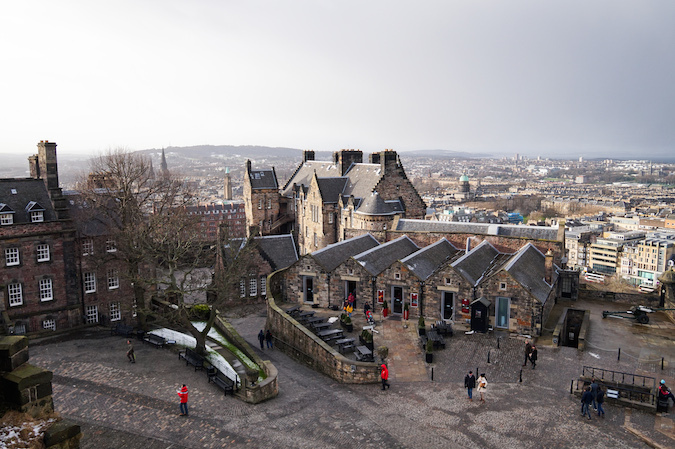 What was once a medieval marketplace is now one of the best places in Edinburgh for dining and after-hours drinking located just beneath the castle hill. Our favorite place for lunch was Hula Juice Bar and Gallery, which offers absolutely delicious healthy meals and smoothies. We loved it so much that we went twice! 4. Shop (and snack) on Princes Street. 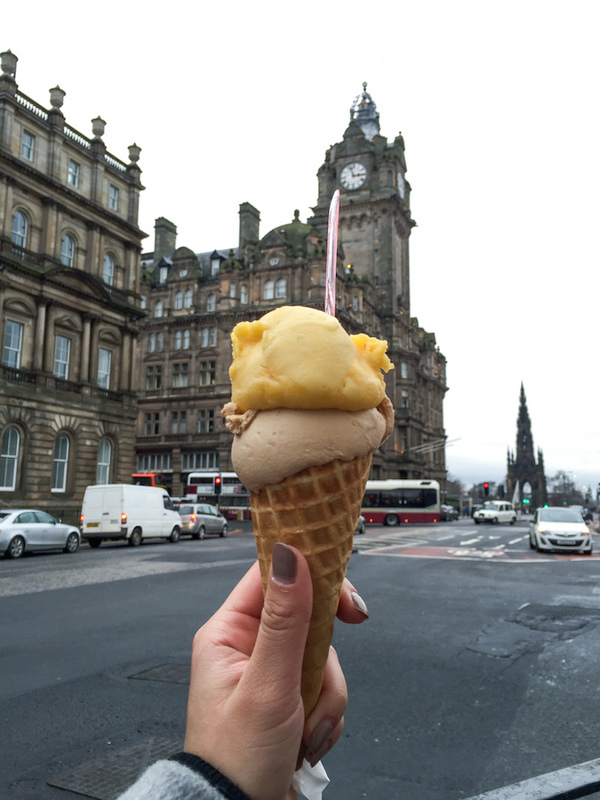 Princes Street is the main shopping area in Edinburgh, although for me it is also the best place to get gelato. We stopped by Martone for a quick Italian snack and headed down this vibrant street to check out the shops. I am not typically a shopper when it comes to travel, but the majestic architecture and city views make this street worth the walk. 5. 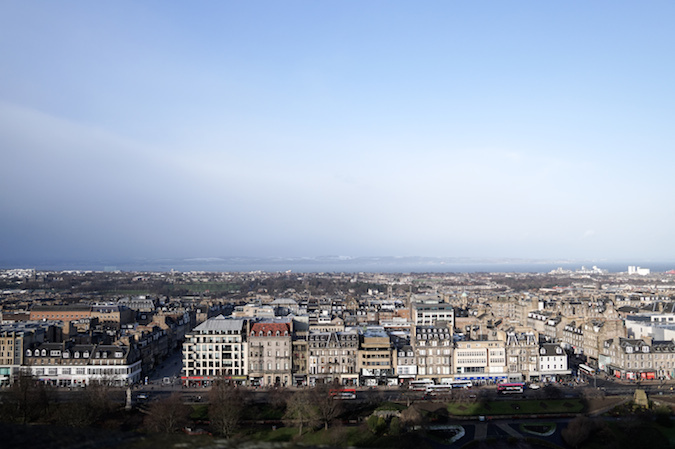 Take a hike up Calton Hill (or Arthur's Seat). 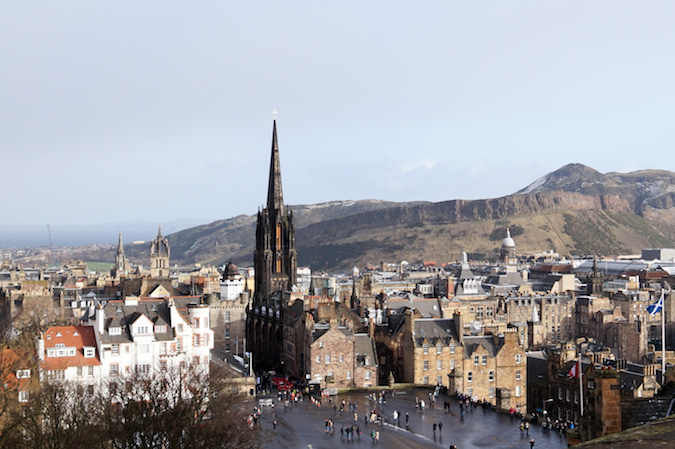 There are two major hills with views of the city in Edinburgh -- Calton Hill and Arthur's Seat. On a nice day I would suggest the latter, as the hour-long hike rewards you with the best views over Edinburgh. 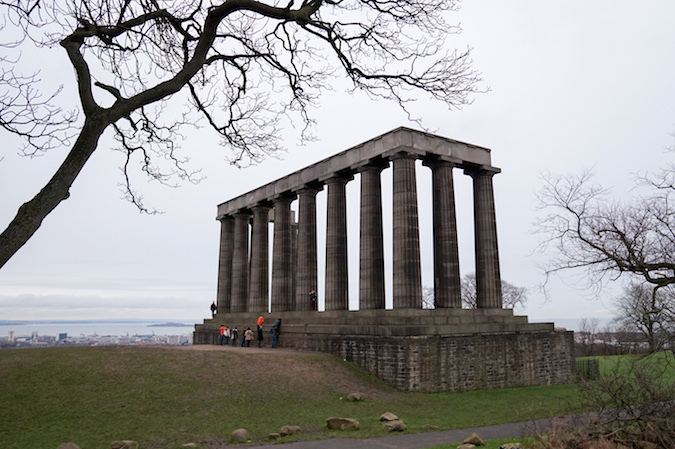 We were not blessed with favorable weather during this trip, so we took the twenty-minute hike up Calton Hill and still loved the outcome. The best part about this city is that you can walk everywhere -- from the hills to the streets. 6. 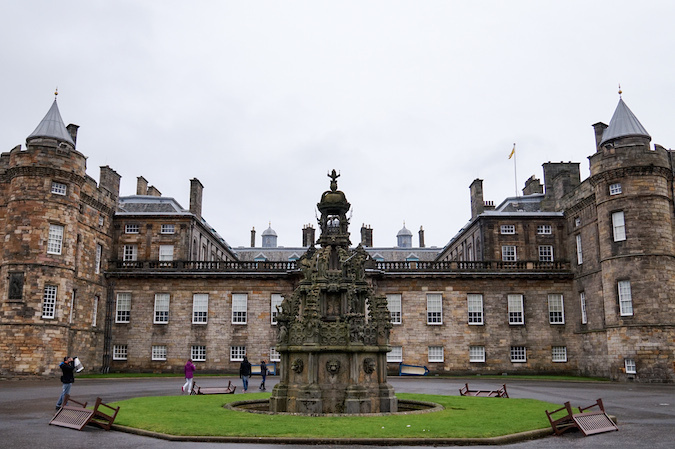 Experience royalty at the Palace of Holyroodhouse. 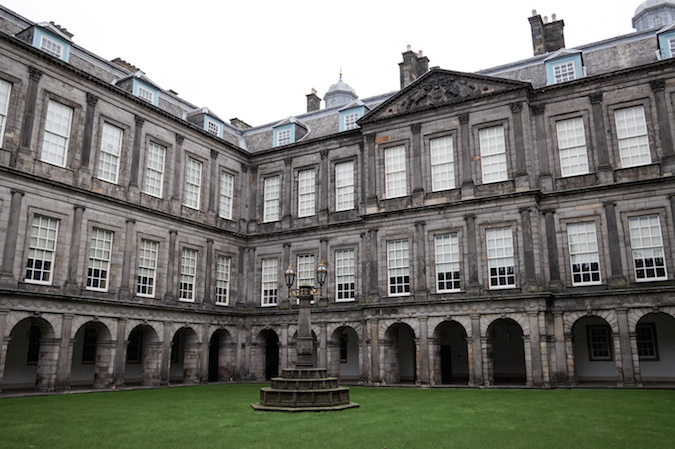 This palace is the official residence of Her Majesty the Queen in Scotland. Needless to say, it houses absolutely stunning rooms along with a massive garden and a ruined abbey. If you're up for a long day of history, take the entire walk down the Royal Mile from Edinburgh Castle to finally end up at the palace. 7. 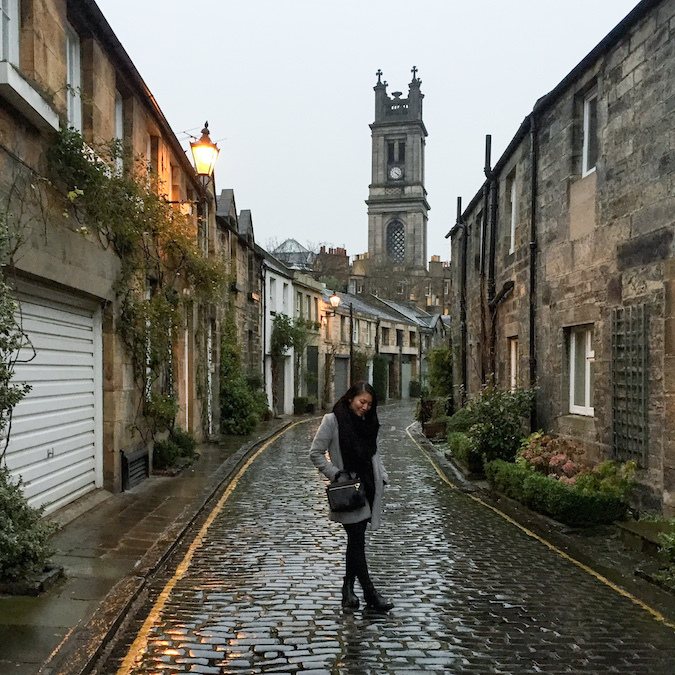 Get lost in Edinburgh's beautiful streets. I am still an advocate for "getting lost" in a new city. Sometimes it is the best way to explore. Past the shopping on George Street nearby The Circus is a small but beautiful mews on Circus Lane. If you walk too fast, you'll miss it. This mews is typically known as the prettiest in Edinburgh, so get your navigation skills ready and discover. UK is definitely on the top of my travel list; although I haven't been anywhere in Europe yet! Edinburgh looks gorgeous through your eyes, would love to go asap. You must one day! It is such a magical city. Beautiful photos!! Love this post! edinburgh is such a lovely city. and you take such beautiful pictures! I like this a lot. Thank you for sharing dear! omg!! stunning!!! :D keep these travel posts coming, dear! Such beautiful photos Christina! If I ever go to Scotland, I'll definitely reference back to this blog post! Never been to Edinburgh!! I love the pictures! Woah! Thanks so much for sharing this tips!